Fr. Steve was born in Troy, Ohio, and he attended St. Patrick Church, St. Patrick School and Troy High School. After high school he attended St. Gregory College Seminary and Mt. St. Mary's Seminary in Cincinnati. 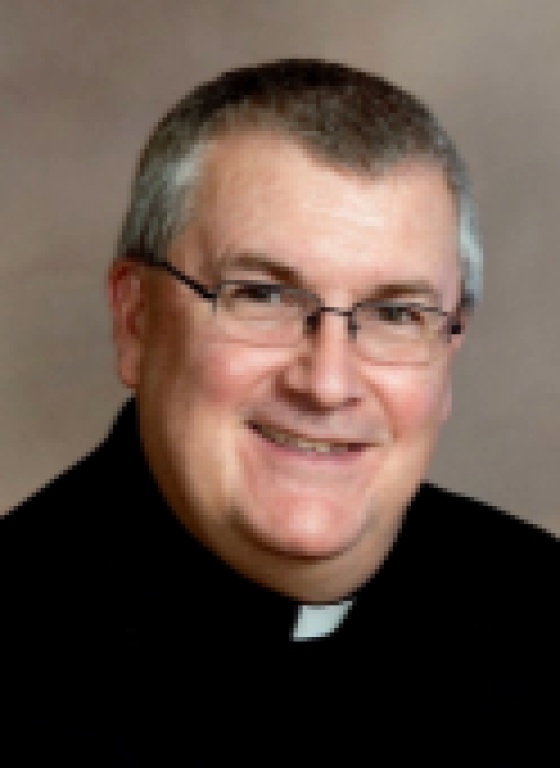 Ordained to the priesthood for service to the Archdiocese of Cincinnati on June 2, 1984, his first assignment was full time teaching at Springfield Catholic High School and St. Raphael Parish in Springfield, Ohio. Then he had assignments at Our Lady of Victory, La Salle High School, and Ascension Parish, all in Cincinnati. Then he was assigned to St. Henry Parish in Dayton. In 1999, he was assigned to his first pastorate position at St. Michael Parish, Fort Loramie. Six years later he was assigned to Ss. Peter & Paul Parish in addition to St Michael Parish. This is when the Newport-Ft. Loramie Pastoral Region (NFLRegion) was formed. Fr Steve has held the position of Dean of the Sidney Deanery since 2009. Click here to read Fr. Steve's homilies.